Categories: Food web, Hydrothermal vents, Stable isotopes | Tags: carbon, MCR, nitrogen, Rimicaris hybisae | Permalink. Besides oxygen, other commonly studied stable isotope systems are those of carbon (13C vs. 12C) and nitrogen (15N vs. 14N). These two elements are very abundant in tissues of plants and animals, and give information on biological rather than climatological processes. In terms of carbon isotopes “you are what you eat”. Plants with different types of photosynthesis (called C3 and C4 plants) have different isotopic compositions, and these are reflected in the tissues of the animals that eat them, and again in the next level up the food chain. 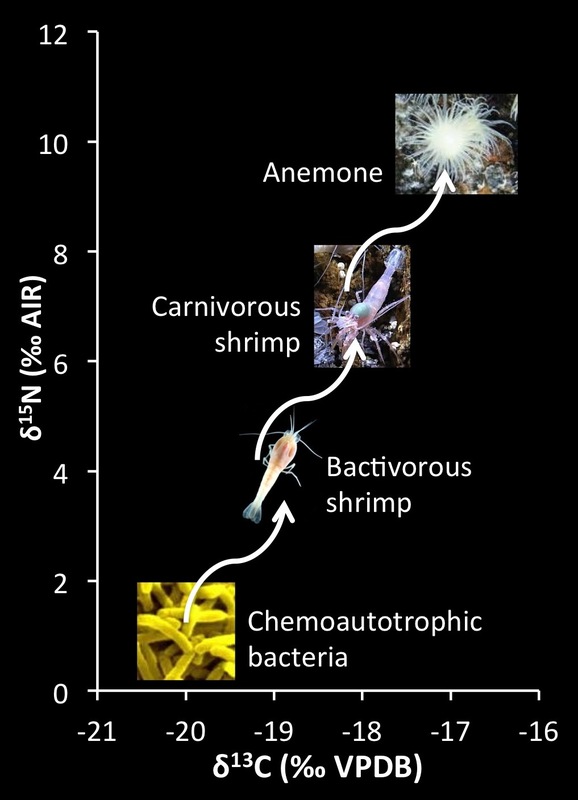 Carbon and nitrogen stable isotope composition of several different organisms (http://chrono.qub.ac.uk/ adapted from Schulting, 1998). 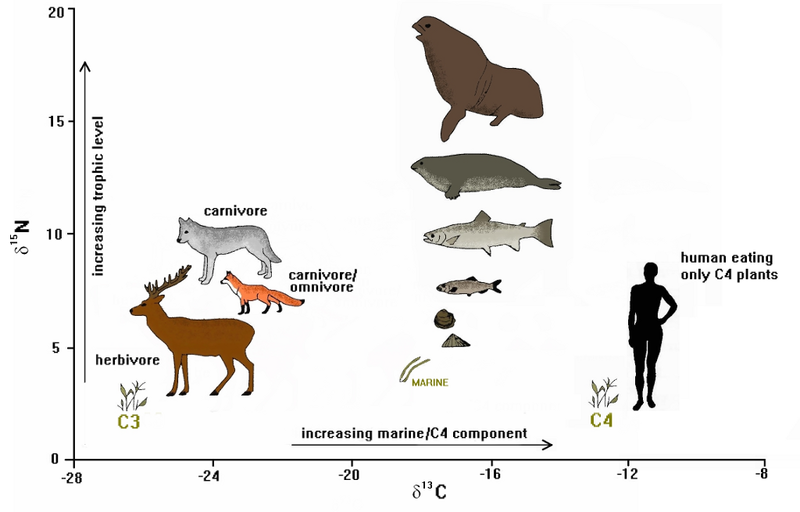 This can be used in ecology, to study food webs, but also to study ecological relationships of the past by for example analysing stable carbon isotopes in fossil shell carbonate, or the nitrogen isotopic composition of organic matter in bones or teeth. Categories: Stable isotopes | Tags: carbon, food chain, food web, nitrogen, shells | Permalink.